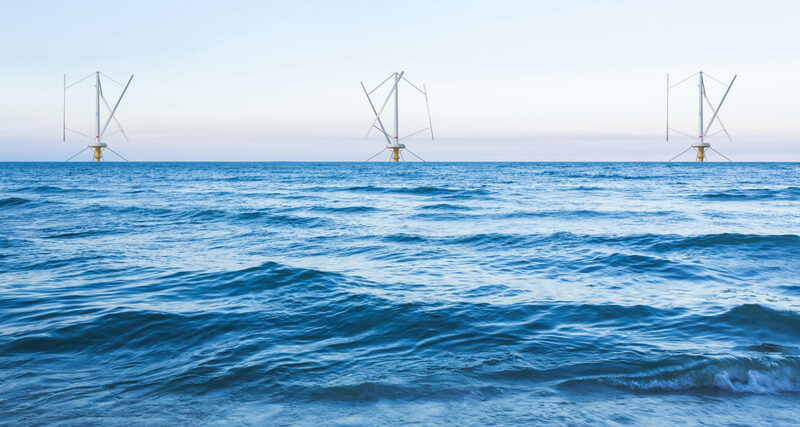 The company has agreed with both Colruyt Group and Norsea Group on their intentions to commit to the financing, development and installation of the SeaTwirl S2-1MW, the second scale-up of SeaTwirl’s innovative floating offshore wind turbine. The scope of the planned investment is a total of SEK 70 million, provided milestones are met. The issue to the partners is SEK 70 million to share price SEK 65 and the investment will take place in tranches based on fulfilling milestones. When the milestones are met, the new owners will each own approximately 19% of the company. Both partners aim to contribute to a high degree to SeaTwirl’s development and establishment in the offshore market. SeaTwirl is planning for installation and market introduction of SeaTwirl S2. To ensure success, SeaTwirl sought specific experience and expertise in establishing and operating offshore wind farms. “Having NorSea Group and Colruyt Group/Parkwind as partners would enable to take SeaTwirl to a whole new level with the respective companies’ expertise in offshore operations and the establishment of offshore wind farms”, says SeaTwirl’s chairman Roger Cederberg. A Letter of Intent has been signed outlining the key terms and conditions of the contemplated partnership and capital increase, subject to confirmatory due diligence proceedings, with both new partners – NorSea Group from Norway and Colruyt Group from Belgium. NorSea Group has extensive experience in offshore and marine operations and contributes to the development, service and installation in the sea. Colruyt Group, via its subsidiary Parkwind, develops, builds and operates offshore wind farms in Europe since 2009, and wants to further contribute to the development and future growth of offshore wind. “The global demand for clean and sustainable wind energy is growing fast. NorSea Group, together with our owner, the leading global maritime group Wilhelmsen, wants to contribute with experience and resources into the green and renewable sector. We recognize that the industry will need to move further offshore into water depths where fixed-foundation turbines are not feasible and at the same time improve the cost for the total supply chain for floating solutions. The vertical, less complex and anchored SeaTwirl design has the potential to improve the whole supply chain. NorSea Group is excited to join SeaTwirl and Colruyt Group in further technical-, concept development and testing of the SeaTwirl Pilot”, says John Stangeland, CEO of NorSea Group AS. “We have received exactly the competence we wanted from our partners and we are very satisfied. These partnerships are an important step in our continued journey”, concludes Gabriel Strängberg, CEO of SeaTwirl.